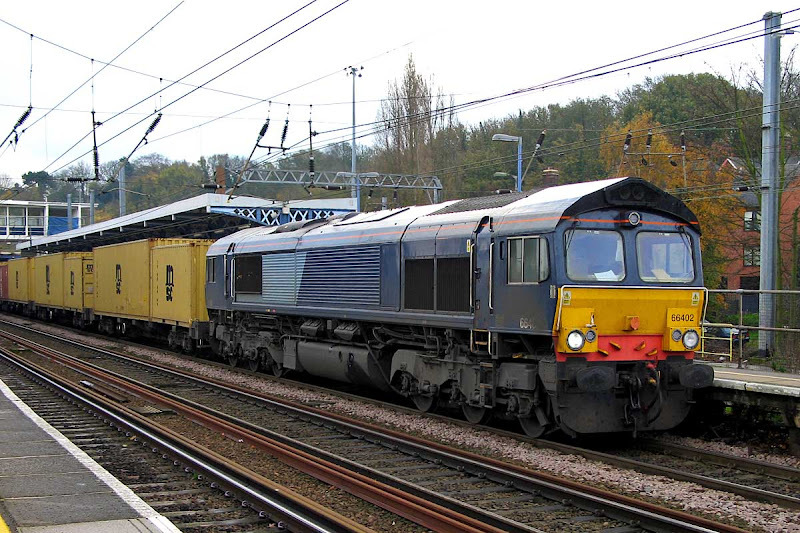 Here are two pictures of 66402 at Ipswich on 23rd November 2010. 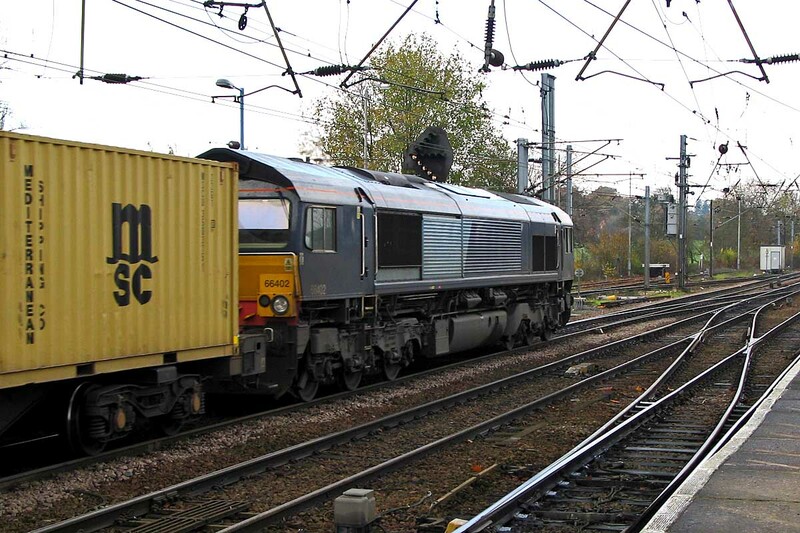 66402 is now 66734, following a repaint at Brush in August 2011, seen here on delivery to Brush following attention at Marcroft, Stoke. In January this year it was named 'The Eco Express'. 66734 now sits under a green tarpaulin beside Loch Treig awaiting decisions upon its future, including potential recovery. RAIB have issued preliminary reporting that it hit a boulder which fell from the hillside as a slip from beyond the railway.